The ride that Lizzie Kelly gave Syrah du Lac was outstanding. Her race tactics were spot on, she kept the early leader honest and the race pace strong, then took it up on the second circuit and had her mount winging every fence. I defy anyone to pick a weaker jockey in the finish and with her, Bryony Frost and Rachel Blackmore regulary riding big race winners, and Nicola Currie and Hollie Blackmore pulling up trees on the falt... it's a golden time for our female jockeys! I thought Champagne City was going to give us a champagne finish to the day but he blatantly dogged it! He was swinging away on the bit coming down the hill with most of the field looking to be in trouble. He jumped the last in the lead and seemingly full of running but as soon as he faced the hill, he laid his ears flat back against his head and proceeded to down tools, eventually finishing 4th... not one to trust in a tight finish methinks! Well, another quiet week ended with quite a bang as 4 of our 5 selections finished in the money including 2 winners, and at odds of 10/1, 9/1 and 5/1 twice we made a more than satisfactory 12.5 points profit on the week. Our first selection was Forest des Aigle who was settled at the back by Derek Fox, he travelled and jumped well in the first half of the race but as the tempo increased he made a couple of niggly mistakes down the back which upset his rhythm and it's very hard to make up ground when that happens. It was a bitter pill to swallow as our first choice for the race was Syrah du Lac who was only ruled out as he was a 4/1 shot when books opened but won at a more than satisfactory 6/1. 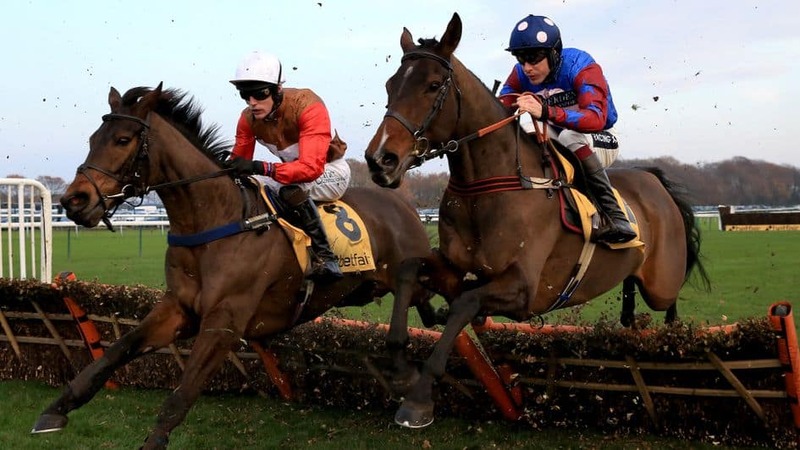 It was a similar story albeit with a happier ending for Art Mauresque in Doncaster's SkyBet Chase but his jumping literally fell to pieces on the second circuit. How he managed to finish 5th with that jumping combined with stamina doubts is beyond me! Lots of credit due I thought to the winner Go Conquer who put in a really gutsy front running performance. Ballyandy duly won like the best horse in the race and despite carrying a welter burden of 11st 12lbs and giving lumps of weight away to the field the outcome never looked in doubt at any stage of the race. That was something that couldn't be said for Paisley Park who hit a real flat spot coming down the hill on the second circuit. Aiden Coleman had to bump him along for quite a few strides and he looked in a bit of trouble. But when he did pick up the bit he fairly flew and an astonishing burst of speed saw him wing the last and go 12 lengths clear up the hill. The 4/1 quotes for The Stayers didn't last long and although you can get 5/2 in a place he is as short as 7/4 in quite a few books. It's quite interesting that the best-staying hurdlers in recent years; Big Bucks, Inglis Drever and Barracouda all had a similar running style and hit flat spots. The only qualifying race for us takes place at Wincanton tomorrow but there are 9 races on Saturday to look at and the small matter of the 2 day Dublin Racing Leopardstown which is going to be crucial for a lot of the big stables over there given they've had a very interrupted preparation for the Festival due to a lack of rain. Why not try a month as a full member for just £10. That's a 75% saving on the full price so give it a go... you won't regret it! THANK YOU for two very enjoyable festivals.